Hollywood in 1928 is the land of milk and honey, magic and fantasy. 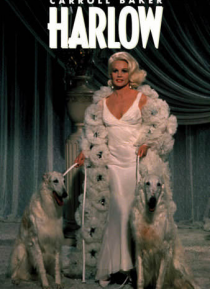 Jean Harlow's spectacular and controversial career begins with bit parts in the movies. She is living with her mother, Mama Jean Bello, and her opportunistic stepfather, Marino Bello, when Hollywood agent, Arthur Landau, spots her on a film set, gets her a series of comedy roles and soon realizes he has a gold mine in Jean. He int… roduces her to film star Jack Harrison and then arranges for her to meet producer Richard Manley.